Having observed all the hues and cries in both the print and electronic media about the slogans of bandhs, strikes, dharnas and blockades, I find that “the Meitei community is really very proud to say that they have 2000 years of history.” I appreciate their love for their land and history. I have no objection to the Meitei’s having 2000 years or 7000 years history. What I wonder most is their objection to other people having that long, say longer or shorter period of history. Sometimes, their claims sound childish- seeing everything so fine on their side and ugly on the other’s side. Anything which a Meitei does is beautiful, laudable and admirable and whatever a person from another community does is intolerable to them. For example, the Meiteis struggled and got Meitei/Manipuri language or Meitei’s mother tongue admitted as one of the Major Indian Languages. None of the Meiteis objected to that on the ground that it is sectarian or ethnic line/based privilege. Secondly, sometimes it is quite confusing to guess why the Meiteis are objecting to the Nagas’ claims to their legitimate rights. They keep the 6th Schedule and Article 371 C of India’s constitution for the minorities/hill areas defeated. They are now objecting extension of the Article 371 A which is being in vogue with the counterparts of the Nagas in the present states of Nagaland. The government of India knows these parts of the Supreme Law of the land being defeated by the Meitei-dominated state of Manipur. 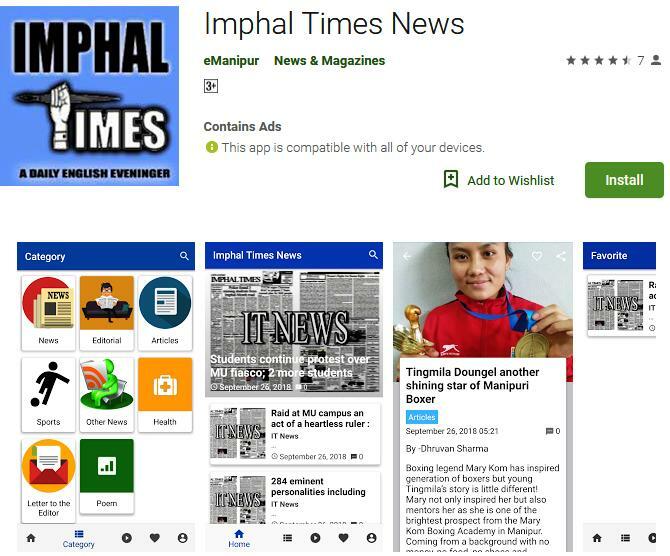 The so called “People of Manipur” without the hill people is trying to defeat the Article 3 of the constitution or to rewrite the said article with words/phrases they want. Is the government of India not convinced of the Meitei Society’s desire to overlord the Nagas forever? So much so, the narrow plains comprising 20% of the geographical area have 40 MLAs while the rest 80% of the total land area is given just 20 MLAs. Only in this state, mob is the ruler and authority in any matter. One cannot easily forget the incident like the one which happened in December, 2012 popularly known as Momoko Incident of Chandel which shook the entire state and rocked the State Assembly affecting the hill people, mainly the Nagas who had gone to Imphal for purchase of things for Christmas and New Year festival. Another mob rule was witness in December, 2016 when the Meitei public declared a counter-blockade at Imphal against the UNC’s economic blockade. The Nagas were mainly targeted. Many vehicles and properties belonging to the Nagas were set on fire while the Meitei-dominated Manipur government remained a mute spectator who only intervened after so much damage was already done by the unruly Meitei mob. The Congress government led by Mr. O. Ibobi Singh had to obey the mob. Mob rule still continues in the state. The recent problem at the Manipur University is a sufficient proof. Here too, the Congress led by Mr. Ibobi and Mr. Gaikhangam have hurled the blame on Delhi (see The Sangai Express, 4th September, 2018). Again, the Meiteis, as they prefer, the Manipuris, seem so fond of advocating their pre-merger status by referring to their long years of history which show at the end the exact size of their territory (in the Merger Agreement) as 700 Sq. miles or 26,500 paris clearly excluding the hills from the Sanaleibak or Kangleipak. To which, the government of recently independent India arbitrarily severed Naga’s land to make the present state of Manipur, Assam and Arunachal Pradesh. Keep in mind, the compact and contiguous Naga country was never allotted by the Government of India nor was loaned by any Manipur Rajas. So, India cannot manipulate the Nagas’ fate like this. Among many others, we are narrating just a few common domineering and chauvinistic mentality of the Meitei society leaders. They hold in high esteem of their feudal kings, their history and their domain, but feign ignorance about the Nagas whose history could have been even longer, further back, like that of the Aborigines of North America. They feign ignorance about Nagas political struggle for the last 60-70 years; they feign ignorance about why the infamous Armed Forces Special Powers Act (AFSPA), 1951 was enacted by the first Parliament of India. The Nagas have unwritten history. They lived in isolation and in primitive village state for too long, even longer than the so-claimed history of Manipur. It is sheer nonsense on the part of the Government of India to believe the Nagas respecting its (India’s) Constitution being trampled by the Manipuris. The Nagas too are humans and have sentiments. The Government of India shall one day pay for what it has done to the Nagas, that is, for keeping Nagas in the hands of the Manipuris for so long. If the Government of India cannot do justice, admit now. The Nagas need not talk with it. The Nagas have every right to go to the world communities for finding justice right now. We have trusted the wrong entity for twenty long years. Will Naga Political Solution negatively impact Sanaleibak? The Meitei’s Manipur or Kangleipak or Sanaleibak will lose nothing by removing Naga territory from the present Map of Manipur. It can be still larger than Goa. There are independent countries in the world whose geographical areas are smaller than Imphal Valley, but are super rich countries. I am sure Imphal will remain an important principality not only for India but also for the continent of the entire Asia. Sanaleibak is indeed a beautiful place with salubrious climate and panoramic landscapes and fresh water lakes. Their valley is fertile and it will continue to produce surplus food grains. The Meiteis are hard working. In medicine and health, the Meiteis outshine the rest of India. In motor and electrical engineering, the Meiteis shall continue to provide workmanship to all its neighbouring communities. Thus, the Meiteis will lose nothing in doing justice to the Nagas which is long overdue. The Nagas on the other hand shall continue to struggle even harder than before to make both ends meet. They will continue to require the Meiteis to teach Maths and Science in the hills, to run electricity and to keep their vehicles running. The Nagas, though somehow emancipated with political autonomy, their inhospitable terrains will not change and shall continue to depend on the Meiteis and the valley to meet their food grain requirements, medical and health services and what not.